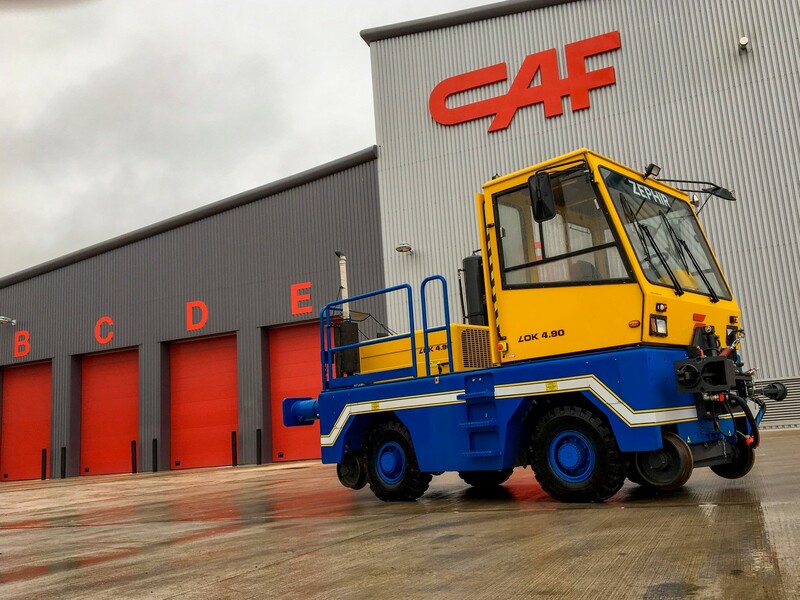 Depot Rail was formed in 2001 as a consultancy business, but quickly developed into a company representing specialist suppliers to train maintenance depots. 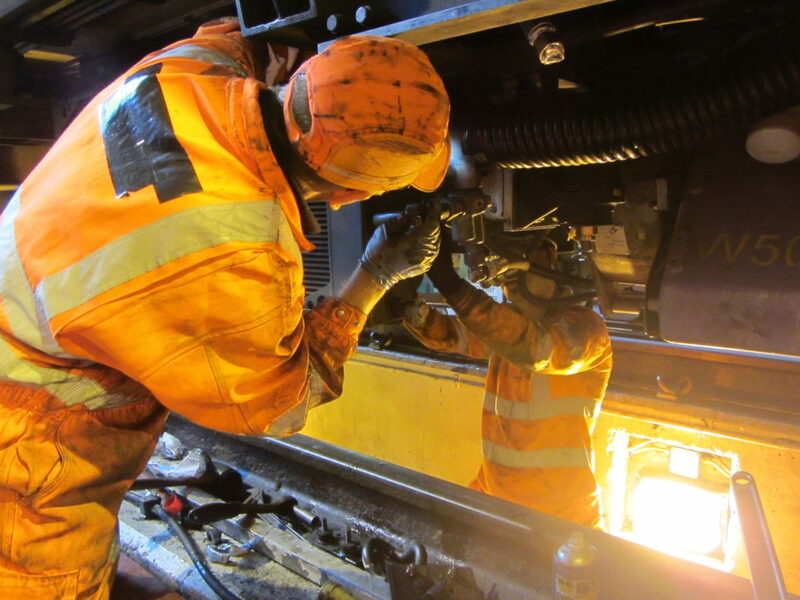 A service business has also been developed, and Depot Rail now has a team of fully trained service engineers to carry out routine maintenance work and repairs on all of the equipment that it supplies. Having grown to be one of the leading suppliers of depot equipment in the UK and Ireland, with a committed and dynamic team of staff, Depot Rail now plans for an exciting future for both itself and its customers. DILAX specialises in capturing, managing and analysing passenger flows. The company’s portfolio includes automatic passenger counting (APC), seat management solutions and smart data analytics tools for reporting and predictions. 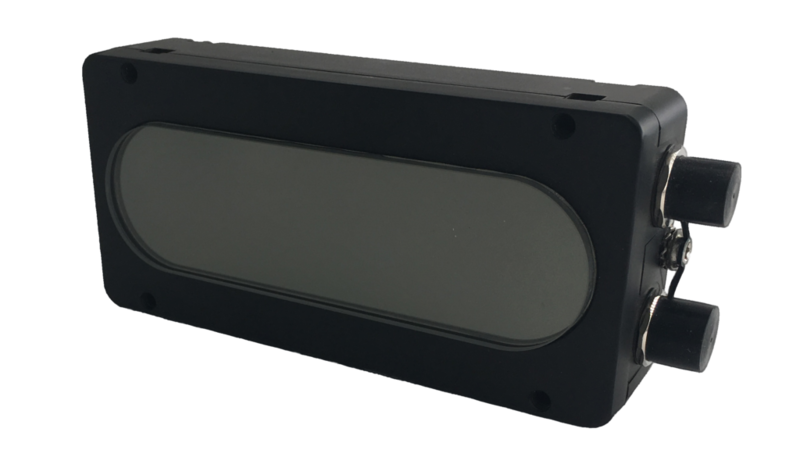 The new DILAX counting sensor is equipped with stereoscopic camera technology and has an AI-based algorithm for detecting and tracking objects. In addition to classic automatic passenger counting, a distinction between adults and children is possible, as is object detection of items such as wheelchairs and bicycles. Citisense software is able to manage, aggregate and evaluate a variety of data and doesn’t just count passenger numbers. The newest feature analyses passenger flows in the transport network based on APC data, further data from third-party systems such as ticket transactions, timetable data and Wi-Fi tracking could be included as well. This data allows the current occupancy level of a vehicle (in real time) to be determined and passed on to passengers, so they can optimise their travel planning. Dold is a leading ISO 9001-approved European manufacturer of measuring relays, timers and interface relays for industrial, safety and railway applications, with a hard-earned reputation for service, product reliability and performance. Currently, many train manufacturers and maintainers worldwide specify, install and rely on Dold relay products. As a direct result, many products in its range comply with current UK rolling stock requirements for EMC, voltage & transients, temperature and shock and vibration. 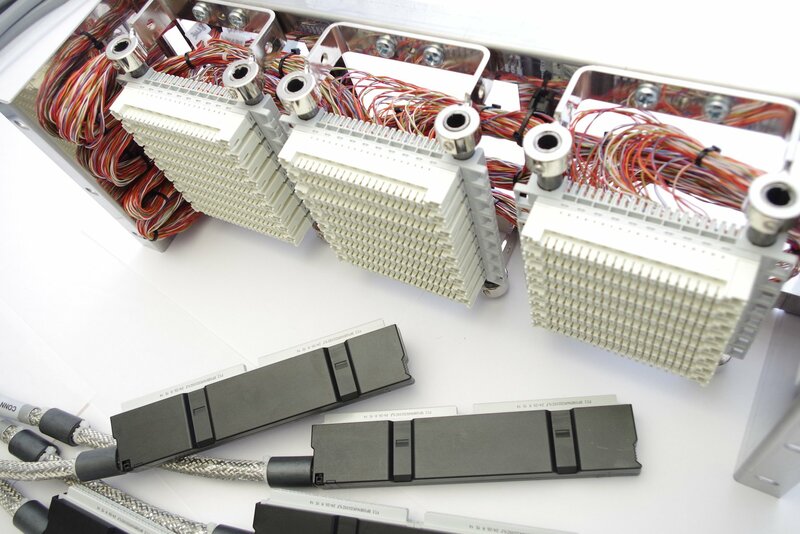 As Dold is the designer and manufacturer of its products – internal relays, enclosures and PCB assemblies – it can offer cost-effective and flexible technical solutions to replace many of the old and discontinued relays and timers still found in service on UK rolling stock. Dold is currently offering innovative solutions to train maintenance depots for HV switchgear interlocking and trapped key interlock access and is involved in major European and international signalling projects for positive guided PCB relays. 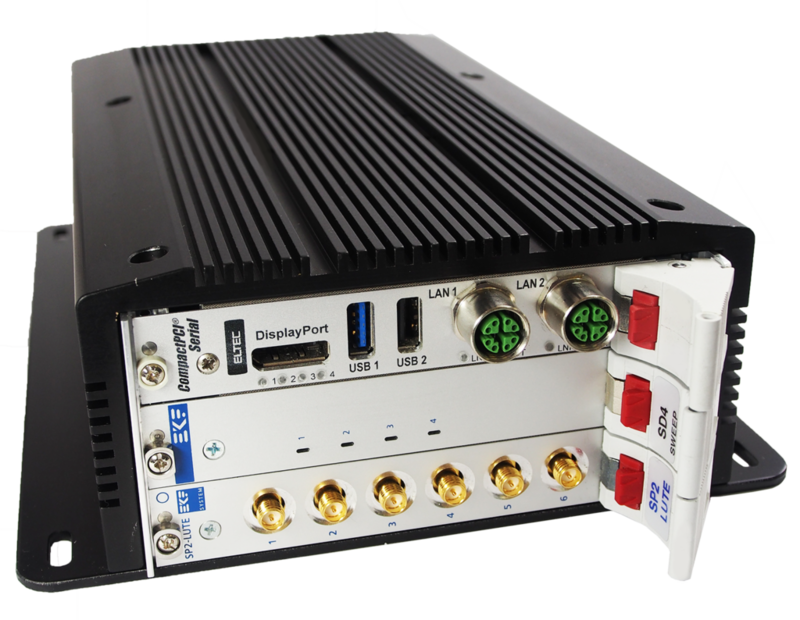 Elma Electronic will have on display its latest ruggedised and modular computing system with optional memory expansion and communication interface. The system can be equipped with three Eurocards (100x160mm) and an optional three or two-slot backplane. 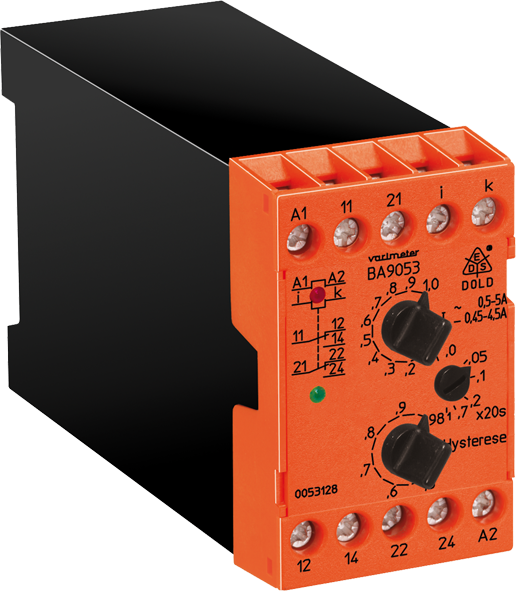 In addition, there is the option to use an integrated wide-input range power supply covering the railway battery voltages from 14.4 to 154VDC. 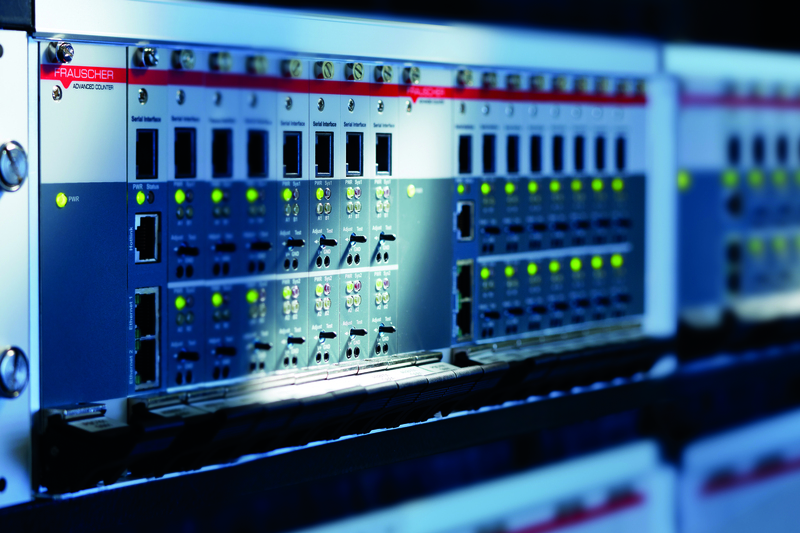 The CPCI-serial standard is widely accepted, so the modular concept allows the configuration of custom solutions very quickly, and a broad range of CPCI-serial CPU cards, from Atom to Xeon-Processors, are available off-the-shelf. The scalability and availability of many CPCI-serial cards makes this system ideal for data monitoring and analysis or for passenger information systems on trains. In addition, CPCI-serial carrier boards for PMC, XMC and PCIe-modules allow the integration of Wi-Fi, GPS, GSM, GSM-R and custom interfaces. 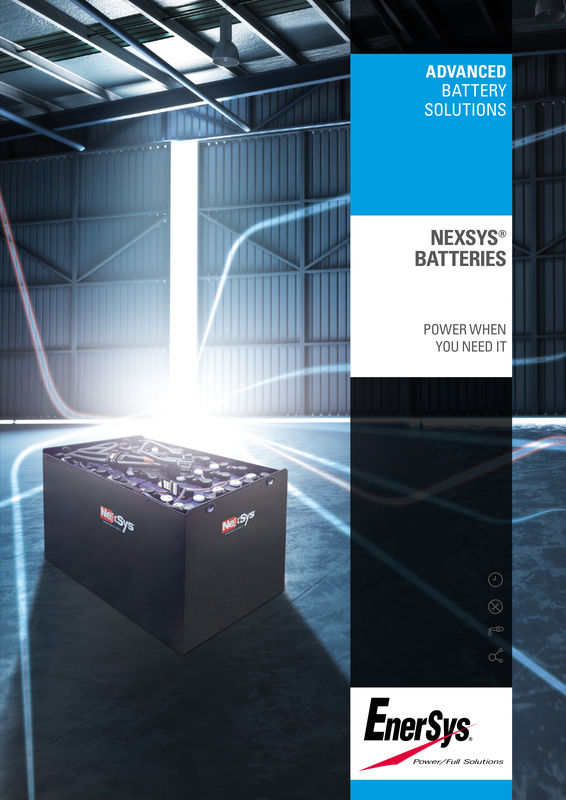 EnerSys® is the global leader in stored energy solutions for industrial applications and an experienced supplier to the rail industry. It offers cost-effective systems for many rolling stock applications. Using its experience, skills and knowledge, EnerSys plans, manages and successfully delivers the complete energy solution project. Its products have a background of 100 years of accumulated expertise in the rail industry, from project planning, design and engineering to carrying out installation and monitoring of turnkey solutions of energy systems to many rail customers. 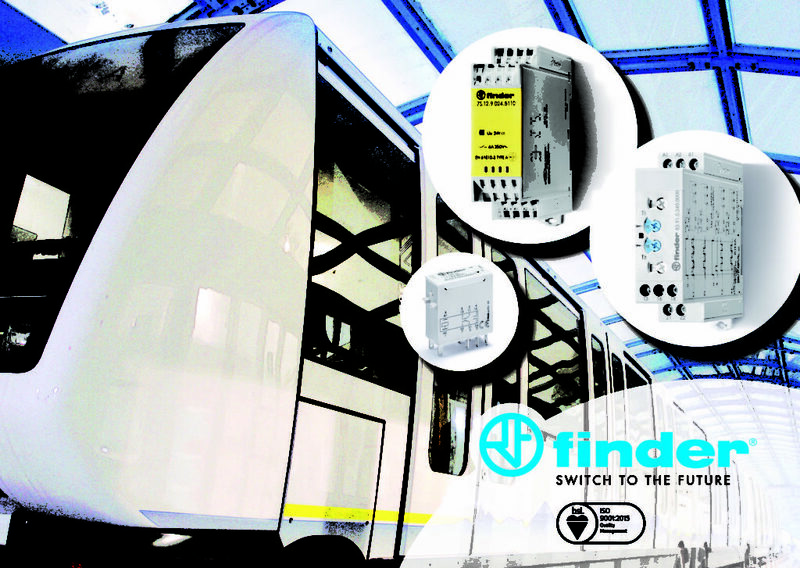 Finder’s European-manufactured components, including relays, timers, monitoring and level control products, are assembled to withstand higher railway-specific technical demands including: wider operating ranges, higher shock and vibration resistance, operation of wider ranges of temperature and humidity, and fire resistance of the relay’s constituent parts. As a result, Finder products are suitable for a range of railway applications including door, light and air-conditioning systems, signal control and traffic management. In addition, Finder relays, sockets and accessories are manufactured using specific insulting materials, which satisfy the requirement R26 of fire protection by standard EN 45545-2:2013 for product category EL10. The products’ vibration and shock resistance meet EN 61373 for Category 1, Class B products while their temperature and humidity resistance comply with EN 50155 standard, TX class or T1 class. FISA was founded in the north-east of Italy, near the border with Austria and Slovenia, back in 1960, specialising in design and production of seats for public transport vehicles on road and rail. The factory covers about 10,000 square metres and employs approximately 100 people. 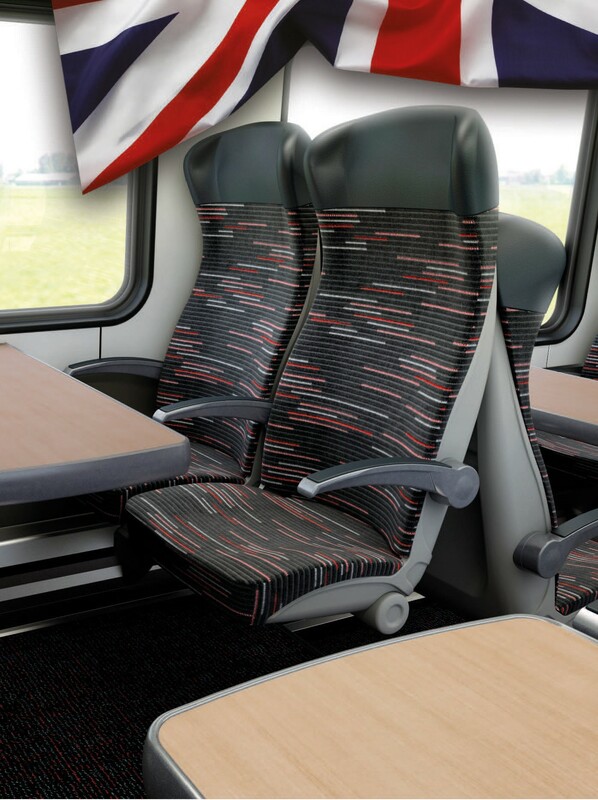 Today, as it has for the past 10 years, railway passenger seats, along with locomotive driver seats, represent 90 per cent of production. The company is a leader of this field in Italy and is steadily increasing its presence in the markets of the European Union, with a particular focus on the emerging markets of Eastern Europe. With an order book that is constantly growing, FISA is now the alternative passenger and driver seat supplier dedicated to the UK market. The recently established FISA Seating System Ltd, combined with UK companies which are already established in the industry, gives FISA the advantage of local supply and after-sales product service, which is considered paramount in this ever-demanding market. Flexicon will be showcasing its extensive range of cable protection solutions for rail, exhibited using a series of dynamic displays demonstrating product fire performance, system security, integrity and quality assurance. Among the systems on display will be Flexicon’s new, extended FPAX range of in-line dividers, developed specifically for the rail industry. These nylon (PA66) moulded fittings are an ideal solution for dividing or combining conduit systems in-line, offering a flexible cable protection solution for wiring systems while maintaining system integrity. Flexicon’s new range of easy-fit abrasion rings will also be showcased on the stand. Suitable for applications where abrasion or mechanical wear of non-metallic conduit could be a potential hazard, abrasion rings offer a further level of protection where conduit may come into contact with other objects or surfaces through movement or vibration. The abrasion ring’s two-piece design ensures it can be applied retrospectively anywhere along the conduit. Flotec provides a range of services and products to the rail industry for the maintenance and overhaul of fleets of traction and rolling stock. Its key focus is delivering cost savings and long-term engineering solutions. Almost any hydraulic requirement can be met through Flotec, which can usually find the perfect hydraulic solution for any application. These may include a reduction of fleet operating costs, improving and monitoring fleet reliability or enhancing cooling systems. Services include supplying reliable engineering support to rolling stock leasing companies, train operating companies, and track plant machinery operators. Improvements can be made through hydrostatic hose optimisation, choosing the best hose and connector solutions and by initiating a hose management programme, complete with hose tagging and roll-stamping. Site surveys and condition assessments are supported by comprehensive quality and safety training and the use of a fully kitted-out mobile workshop. Frauscher will present its new SENSiS system as the highlight of its Railtex display. “Evaluation of the sensor signal takes place in the sensor – directly on the rail. Using a dedicated bus system, digitised data is transferred directly from the SENSiS Detection Point SDP to the SENSiS Processing Unit SPU in the indoor location. 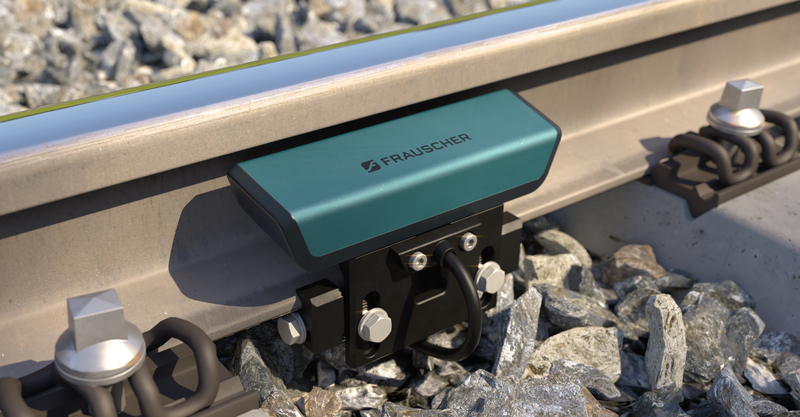 With the further development of Frauscher Tracking Solutions FTS, the company will present more highlights at this year’s Railtex. For improved train tracking, the focus was on accuracy and reliability in the detection of a train’s front and rear, travelling speed and direction. “This enables an accurate and continuous calculation of the arrival time at a specific point. Various applications, such as passenger information or platform announcements, can thus be optimised. The ongoing information on train position and speed profiles enables more efficient traffic management. The type, year of construction and origin of the track vehicles do not affect their detectability,” Baker explained. The company’s well proven Frauscher Advanced Counter FAdC will be on display at Railtex. This modern axle counter provides flexible interfaces and high modularity. It allows for individual solutions to be developed in close collaboration with the customer according to project specific requirements. The FAdC is already recognised by the UK market with numerous projects completed and underway. Additionally, innovative functionalities, such as Supervisor Track Sections STS and Counting Head Control CHC are already available with this system. 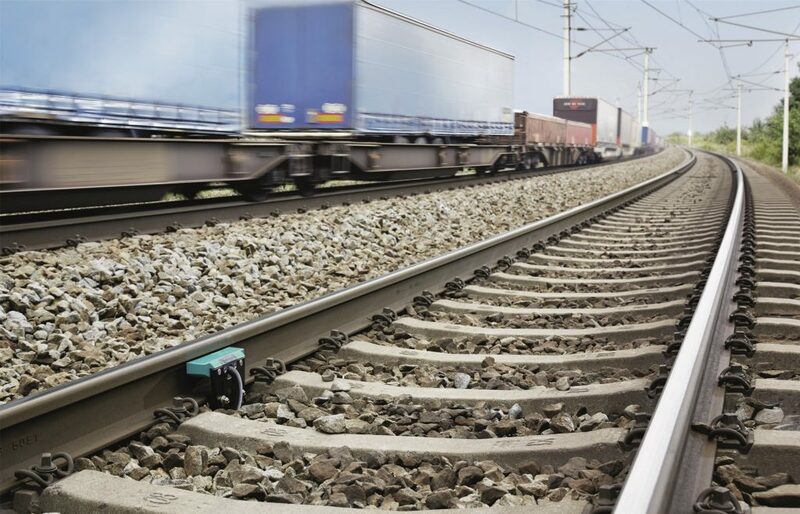 The establishment of inductive wheel sensors in different regions and railway segments around the globe means that new areas of use are constantly being discovered. Due to its open, analogue interface, the Frauscher Wheel Sensor RSR110 can easily and quickly be integrated into any infrastructure. Evaluation of the sensor signal can be realised by the system integrator or operator themselves. This sensor is available in two system variants – the RSR110d contains two sensor systems, the RSR110s has one sensor system. This enables the economic realisation of even more applications in different areas, such as depots or yards. To provide support if required, Frauscher has developed a Wheel Signal Converter (WSC), which converts the analogue signal into a digital signal and creates the corresponding interface. At stand number G37, visitors can discuss their requirements with Frauscher experts directly to find out how these innovative solutions can help them to track more with less. Garrandale Rail will be showcasing a new generation of intelligent ‘SMART’ depot equipment for sustainable and cost saving technologies. This new range, including carriage wash systems, fuelling and AdBlue stations, controlled emission toilets and lubricating and monitoring systems, can be fitted with the latest in predict and prevent technology. 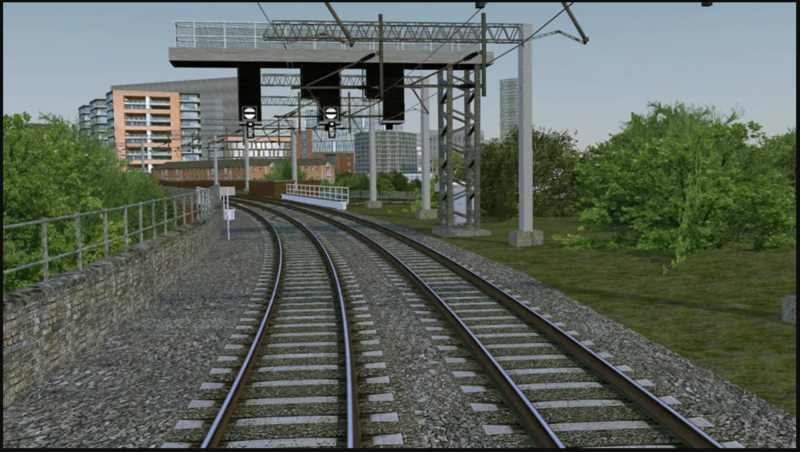 It has been specifically designed to address infrastructure availability issues on the rail network. With robotic technology sure to play a critical role in the future of train servicing, Garrandale is working, as part of a consortium, to develop practical, working robotic systems for essential routine functions such as fuelling, waste removal, tanking, screen wash and visual damage inspection and reporting. Joining Garrandale on its stand will be a project team from Cranfield University’s Centre for Competitive Creative Design (C4D), with whom the Derby-based company is working closely to develop a Safe Waste System for use of rolling stock. Gem Cable Solutions arrives at Railtex with a proven track record of over 20 years in the rail industry. Initially, Gem worked in partnership with Alcatel-Lucent on the Fixed Telecoms Network (FTN) project, supplying all the required coaxial, data and fibre-optic cable assemblies. Branching out, Gem has expanded its offerings, so customers can now benefit from customised rail-approved panel and box builds, coupled with the simplicity of a one stop shop, for all their consumable items. Gem Cable Solutions is RISQS approved, ensuring that customers can be confident in the quality of its UK manufactured bespoke cable assemblies, looms, and harnesses. The experienced workforce can quickly and effectively engineer customised solutions, delivering it against an agreed timetable, collaborating with design, overseeing manufacture, and upholding company standards beyond delivery with RISQS, ISO9001:2015, JOSCAR and IPC-A620 certification. Geobrugg’s geo-hazard protection solutions can help protect both assets and infrastructure. The global leader in the supply of high-tensile steel wire safety nets and meshes, many years of experience and intensive collaboration with universities and research institutes make Geobrugg a reliable partner when it comes to protection and safety solutions. From slope stabilisation mesh, the TECCO® system, through to its range of rockfall and landslide barriers, Geobrugg can provide protection from all geo-hazards. 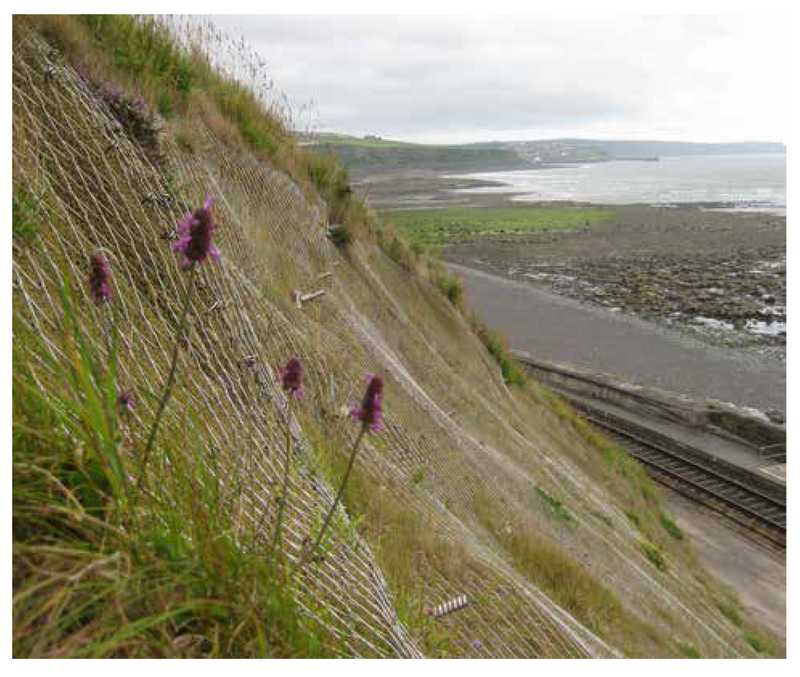 One example is the use of the stainless steel TECCO system in the protection of the Cambrian rock cutting campaign on the coastline in mid-Wales. This highly corrosive environment led to an in-depth life-cycle-cost assessment. Although initial material costs are higher for stainless steel mesh, plates and anchor bar, this was more than outweighed by the increase in effective design life and so was specified by the Network Rail design delivery team from Bristol and contractor Alun Griffiths. Gioconda was established in the UK in 2006, specifically to develop desktop signal sighting tools for the UK rail market. The award of two Network Rail framework contracts helped to establish the business as a primary source for UK signal sighting and driver briefing. Since then, Gioconda has worked on some of the biggest and smallest projects in the UK and prides itself on the quality, accuracy and efficiency of its services. In 2013, the company took the active decision to look for international projects and the first project was delivered to Australia in 2015. Now in its 14th year, many of Gioconda’s models and services from the last few years will be on display – for signal sighting, driver briefing, asset survey and BIM. There will also be a new and improved signal sighting competition “STOP THE TRAIN”, where visitors could win a fabulous desktop Live Departure Board (www.ukdepartureboards.co.uk).